Sometimes the solution you need is right in front of your face, but for whatever reason, you don’t see it. Sometimes you don’t see the solution because of strong beliefs or preconceived notions. And still, other times you don’t see the solution because you haven’t made a connection between the known (problem) and the unknown (solution). No matter WHY you’re having trouble seeing the solution you seek, the #1 thing you can do is relax and open your mind. More stress rarely ever helps you find a creative solution to any problem. It might help you find A solution, especially in a time of crisis, but rarely will you find the BEST solution while in a state of stress. Take your mom’s advice and take a deep breath… relax… and open your mind to receive the solution you need. 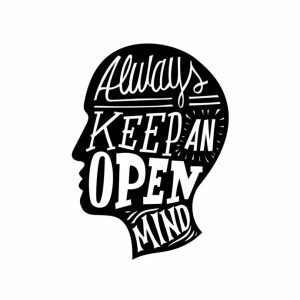 An open mind is your best tool for finding the solution to any problem. Here’s to keeping an open mind – especially for simplicity in solutions.